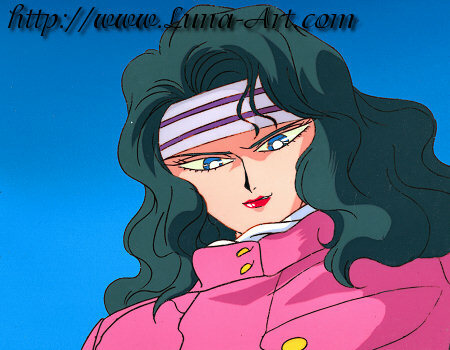 The winner of the first moon princess contest, Yamamoto Saeko, has been possessed by a youma. Working with Kunzite, she figures out that either Usagi or Rei must be Sailor Moon so she chases them down the mountain and traps them between huge walls of snow. When she arrives at the snow pit, she looks down and smirks at Usagi and Rei. Yukiyo yamayo yuujouyo! Yappari youmamoyo!